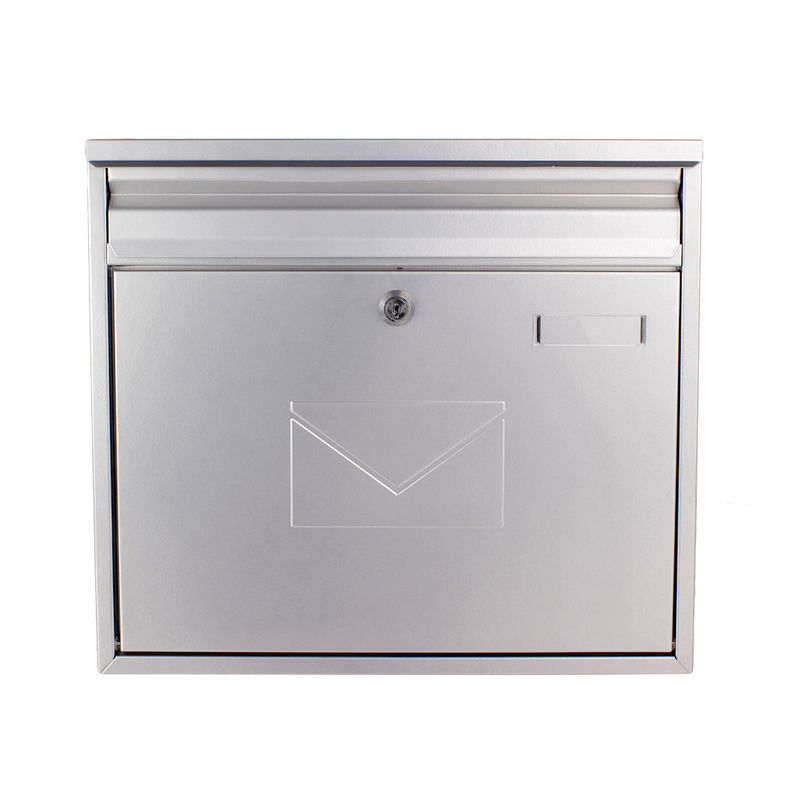 The Silver Rottner Mailbox Teramo is a timeless mailbox made of powder-coated steel. On the door is an embossed envelope and makes the front of the mailbox more interesting. The small drip flap protects your shipments against the weather. Despite its simple design, it surprises with a refined detail - a two-sided inset! For your name badge, you'll find space in the small window on the front and the necessary material and a drilling template for the assembly is included. A wonderful appearance is the Silver Rottner Letterbox Teramo. It's body is made from powder-coated steel plate with two-sided inserts provides the practical handling and timeless design which can also complement each other wonderfully.